Political analyst questions credibility of Mantashe’s testimony at Zondo Commission - SABC News - Breaking news, special reports, world, business, sport coverage of all South African current events. Africa's news leader. 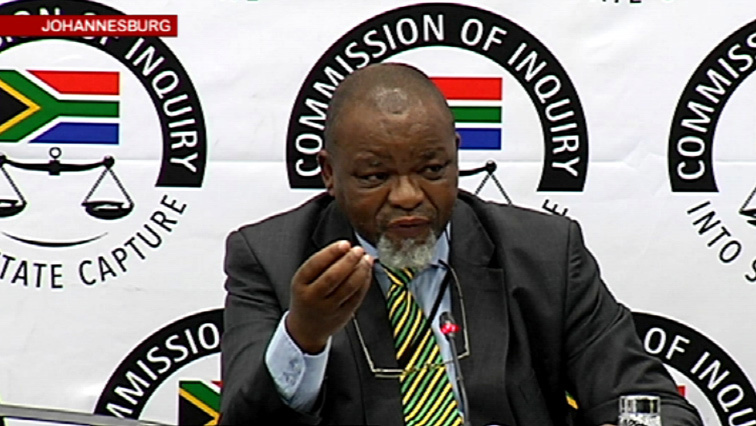 Political analyst, Sethulego Matebesi, has questioned the credibility of ANC Chairperson Gwede Mantashe‘s testimony at the Commission of Inquiry into State Capture. During his appearance at the Commission this week, Mantashe claimed that instances of state capture came about during former president Jacob Zuma’s second term of office. Mantashe, who was the first top ANC official to appear before the commission, says some party leaders began to resist state capture and called for Zuma’s resignation during a National Executive Committee meeting earlier this year. Matebesi says several ANC leaders allowed state capture to continue over the years. This entry was posted on 01 Dec 2018,11:04AM at 11:04 AM and is filed under Politics. You can follow any responses to this entry through the RSS 2.0 feed. Both comments and pings are currently closed.